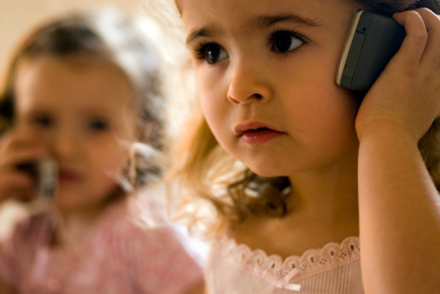 The Russian National Committee on Non-Ionizing Radiation Protection (RNCNIRP) has expressed its opinion regarding the possible influence of handset electromagnetic field on children and teen-ages. The experiments, consultations and discussions held led to the resolution ‘Children and handsets: future generations’ health is under threat’. The given resolution comprises opinions of leading Russian scientists in hygiene and radiobiology of Non-Ionizing Radiation. The given resolution is based on modern scientific knowledge and fundamental submission generated in many years of research into the influence of electromagnetic fields on human health. Specialists assert modern children are using handsets since early age and continue using them having grown, so the period of contact with electromagnetic radiation is longer as compared to adolescents. According to RNCNIRP specialists, children using handsets are prone to the following disorders: weakening memory, decline of attention, reduction of mental and cognitive capacity, irritation, sleep violation, increasing epileptic possibility. The other possible far-standing consequences are brain, auditory and vestibular nerve tumor (at the age of 25-30), Alzheimer's disease, ‘acquired dementia’, depressive syndrome and other forms of neuronal degeneration of brain structures (at the age of 50-60). According to Oleg Grigoriev, the given forecasts are based on the data analysis received and long scientific debates. ‘Children using handsets are not able to understand that their brain and health are exposed to the electromagnetic field and risk, respectively, - the committee report reads. – The given risk is not inferior to the influence of tobacco and alcohol. Our duty is not to damage children’s health – our future – doing nothing’. RNCNIRP has already sent its resolution to Gennady Onishenko, chief sanitary doctor of Russia, requesting him to introduce a warning system about the electromagnetic threat to the children’s health when using handsets. ‘The simplest solution is to put brochures telling about the mentioned above problems into boxes with handsets, - believes Oleg Grigoriev. – Such practices are wide spread in Great Britain, for example. Parents should be informed about the influence of the electromagnetic field on their children’s health. One can also tell his child about the dangers related to handsets’. Oleg Grigoriev reports till the end of May 2008 RNCNIRP intends to work out certain recommendations for handset usage by children and teen-ages under 18. ‘The first recommendation is to limit children’s communication through handsets but for cases of emergency’, - says Mr. Grigoriev. He recollects the main recommendations for adolescents: not to talk more than 15 minutes on the handset, the ratio of the length of talk to resting before the next talk should be 1:5, which means having talked for one minute, one has to abstain from further calls for five minutes; when sleeping the handset should be 1 meter away from your head, or switched off, Bluetooth should be used. for my GSCE ICT, we are doing a cyber bulling project, in this we have to include a booklet, I was wondering if I could copy and paste one of your images, onto my booklet. This page contains a single entry by Toni published on April 21, 2008 10:21 AM. Rethinking AIDS Day was the previous entry in this blog. Fluoride-Caused White Spots on Teeth Damage Kids' Self Esteem is the next entry in this blog.